It is with great sadness we had to make the decision to close our beautiful monastery in Tucson, Arizona as of February 26, 2018. Our sisters have relocated to the motherhouse in Clyde, MO. 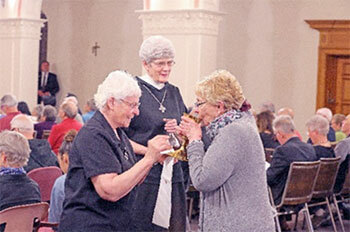 We had two final celebrations of the Eucharist, the first was on January 19th. 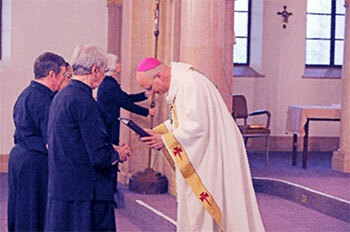 Bishop Weisenburger [the new bishop] presided, and Bishop Kicanas was the homilist. 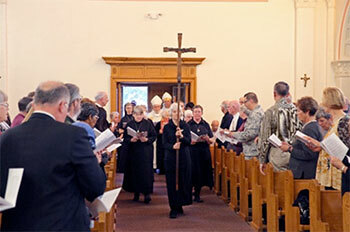 To that Mass we invited over 500 of our friends, relatives, benefactors, volunteers and chaplains. 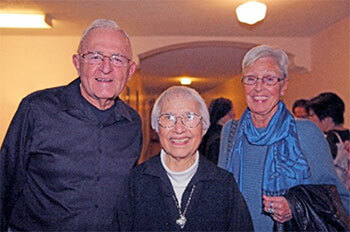 It was a heartfelt and both joyful and tearfilled celebration of faith and gratitude. 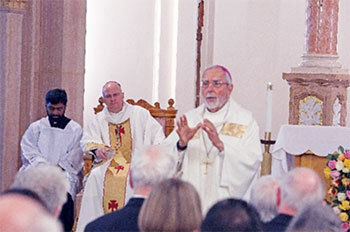 Here are some photos from that closing Mass and reception. 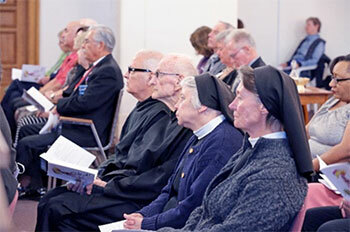 Our final Mass in Chapel was on Sunday January 21st and Msgr. McCarthy presided. We and the people all processed out together to greet one another and say good-bye on the front pebbles and lawn. Here are some quotes from Jeremiah McCarthy’s homily. "...I found myself at a loss at what to say on this day, searching for the right words that would convey to you not only our deep love for you, but also comfort and peace for us who will remain here, forever indebted to you and the gift of your Benedictine charism that has graced our Diocese for 82 years. We desert dwellers know how important water is to sustain life and for that reason we cherish our oases that provide this precious resource. Your presence and this monastery have been a spiritual oasis for all of us. You have taught us how to find that "living water" in the Eucharist, and this gift of yours will be your enduring legacy to us. ...You have taught us, day in and day out, that the Eucharist is central, that it shapes our deepest longings, unites us to the faithful Lord, our constant companion on life’s journey, whose one great delight is that we should thrive in abundant communion with the Blessed Trinity.